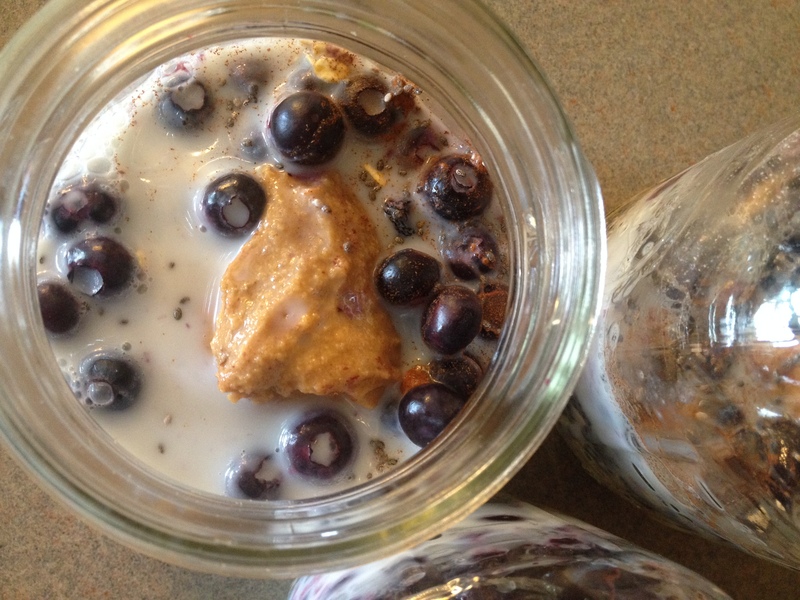 Grab a container with a lid (we LOVE Mason jars) and throw in all of the ingredients listed above, adding your milk of choice last. Stir until well combined, adding more milk if needed. 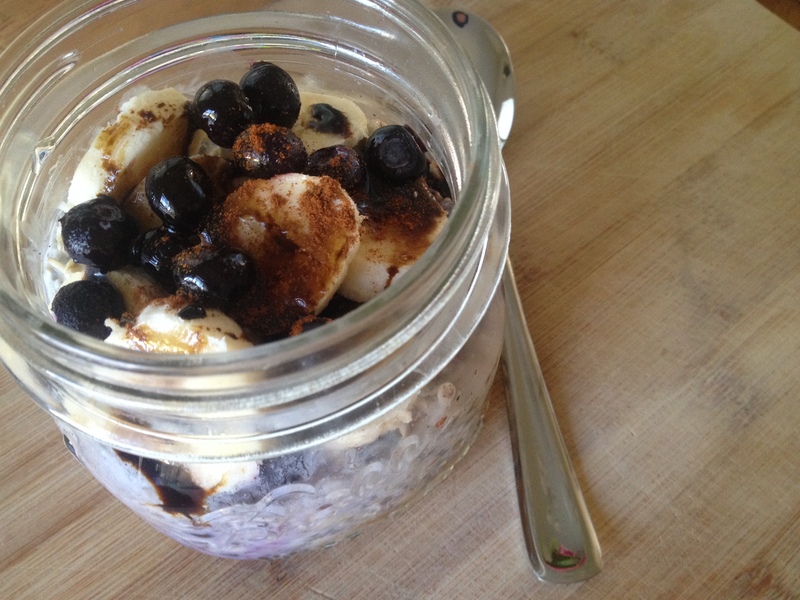 Stir it up and add any additional toppings, such as: raw walnuts or pecans, blackstrap molasses, more blueberries, fresh sliced banana…the possibilities are endless! If it’s too thick, you can always add more milk. 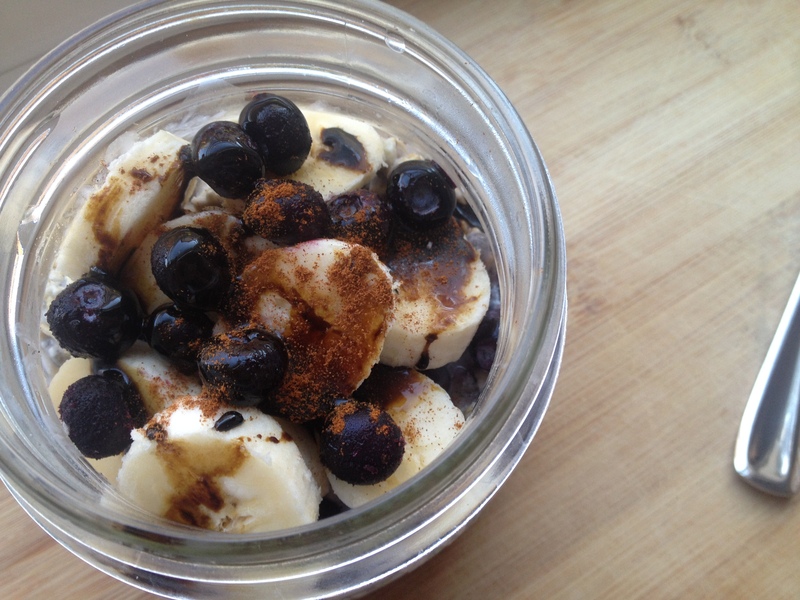 Topped with sliced banana, blueberries, blackstrap molasses, and cinnamon. ** This makes a very generous serving – I often times can’t finish them. 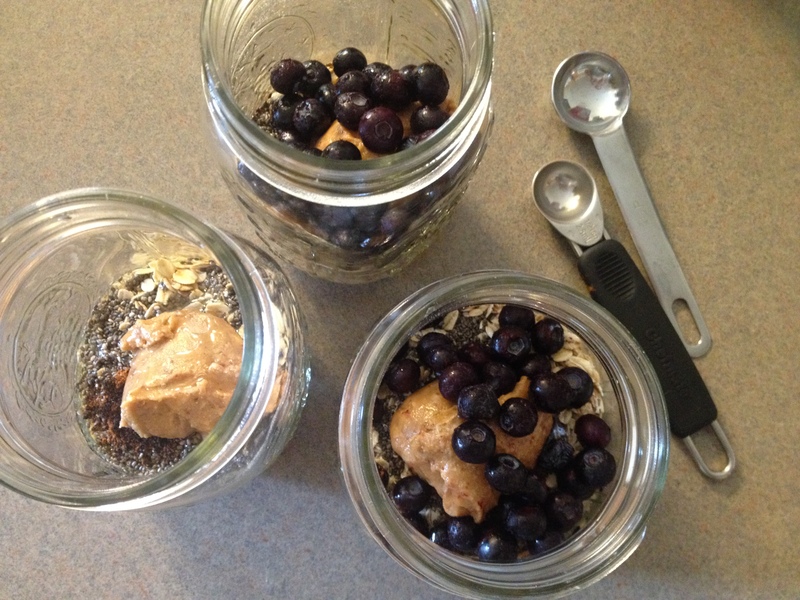 You can use 1/4 cup of oats to make a smaller serving and just adjust the amount of milk you add. 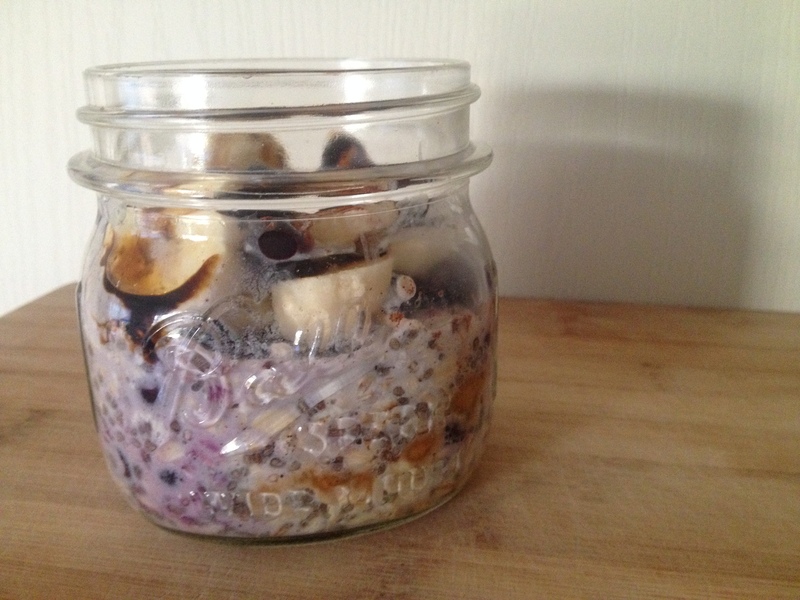 If you have a favorite overnight oats recipe, I’d love to hear it! !